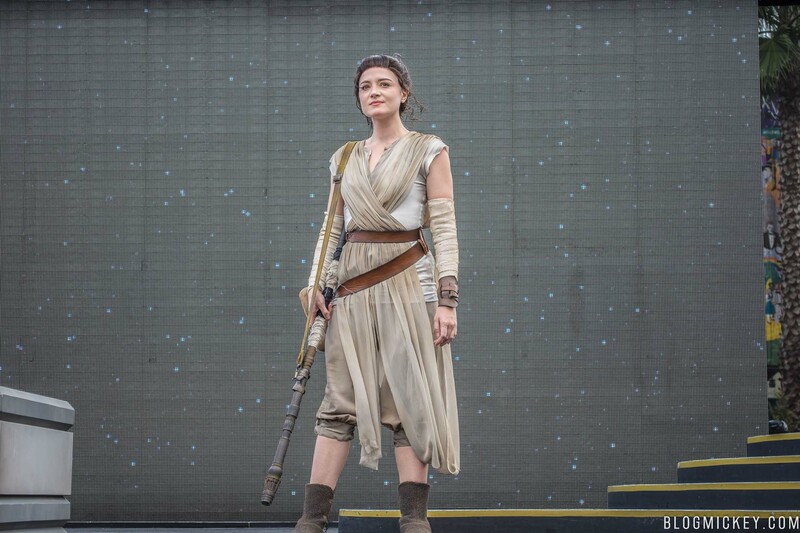 We first noticed a casting call for Rey a couple of months back, and now she’s made her way to Disney’s Hollywood Studios as part of Star Wars: A Galaxy Far, Far Away. 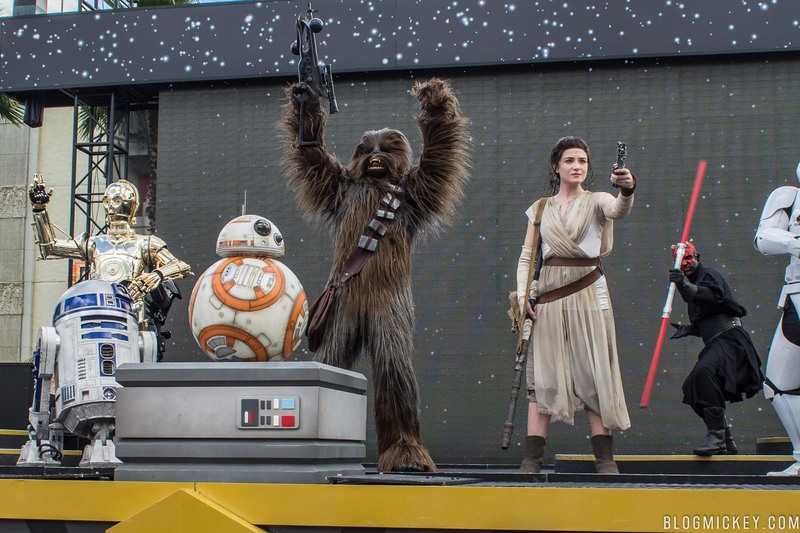 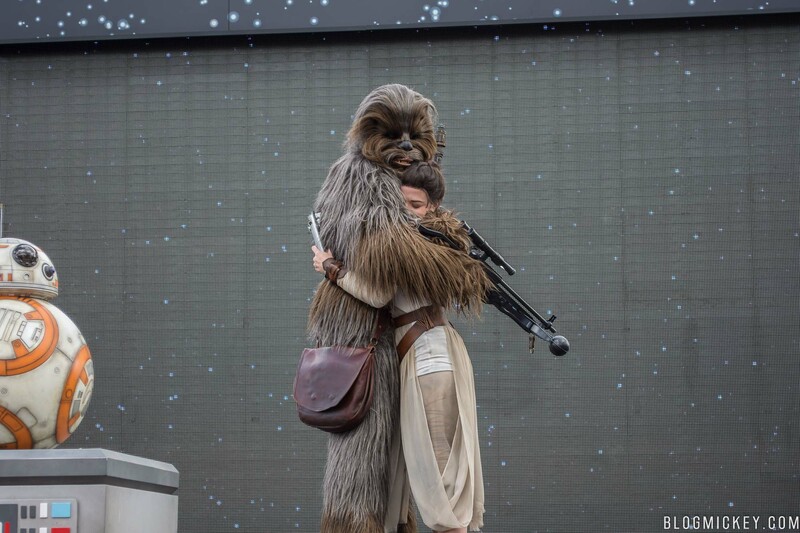 The show was on hiatus for a couple of weeks as Disney tried, unsuccessfully, to introduce mobile stages. 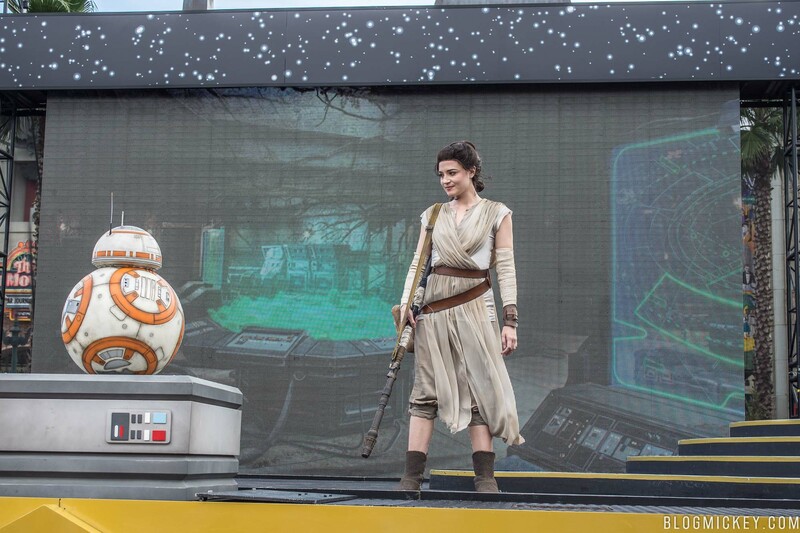 She shows up at the end of the show as BB-8 appears. 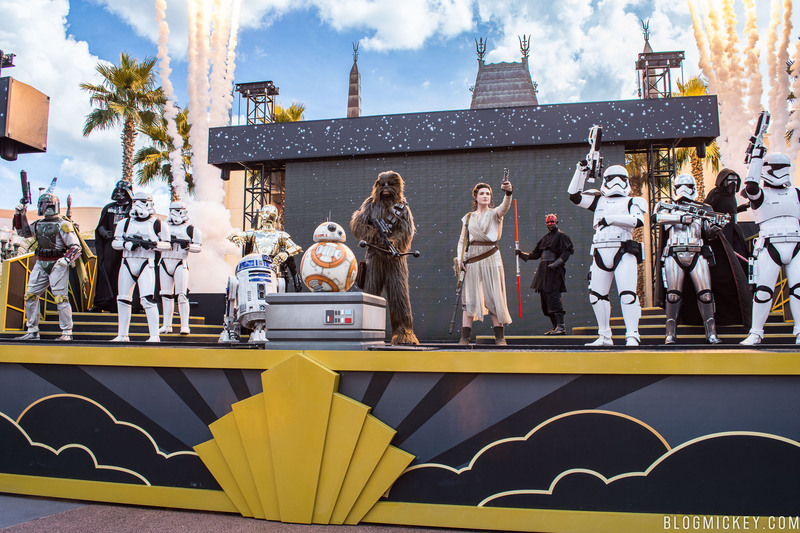 Rey is now a part of the daily showings of Star Wars: A Galaxy Far, Far Away.